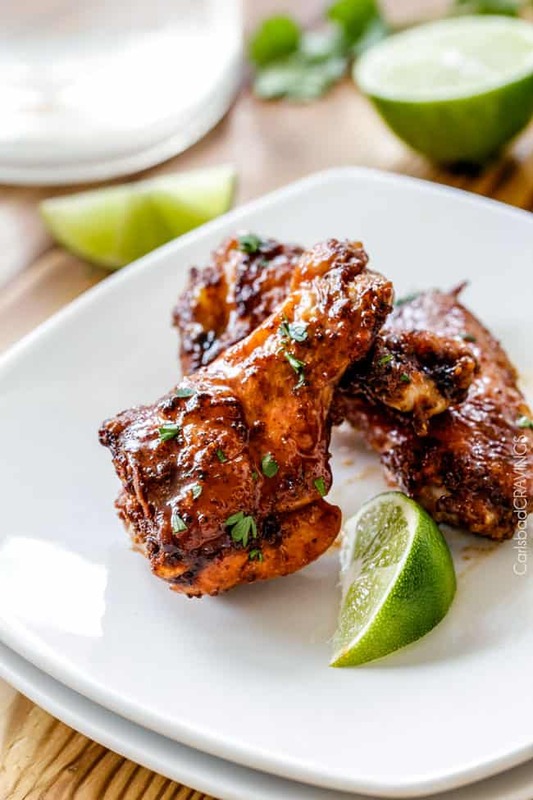 Baked Chipotle Honey Lime Hot Wings, crispy on the outside, juicy on the inside, smothered in a chipotle rub then bathed in honey lime hot sauce. One of my favorite flavor combinations EVER made into easy wings for a crazy addicting appetizer or meal! 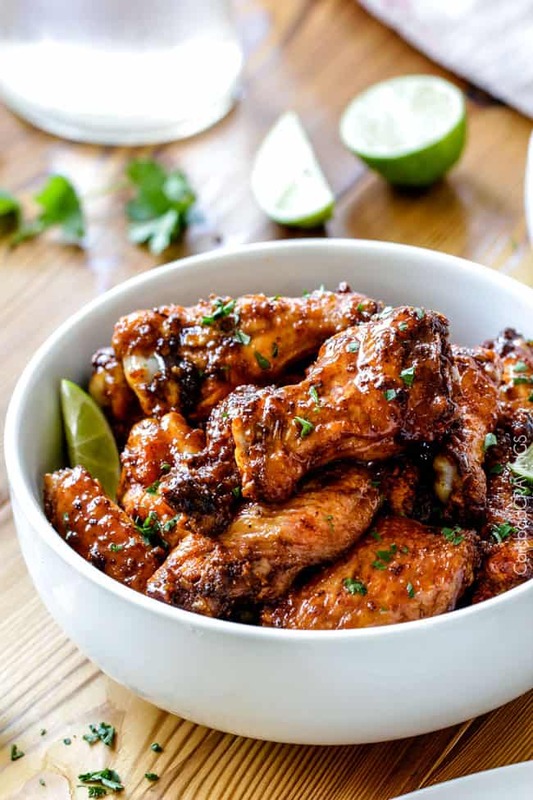 As I was thinking of what both men and woman, and the football watching and non-football watching type, would like in wings, I almost immediately landed on the flavor profile of chipotle honey lime. 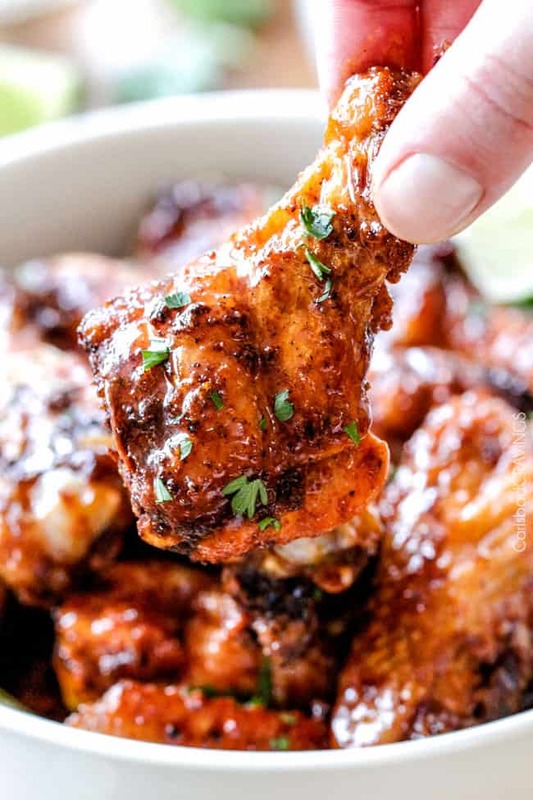 Its smokey, sweet and spicy and I am pretty sure everyone who has the pleasure of gobbling up these Chipotle Honey Lime Hot Wings will LOVE them – even your kids – because you can completely customize how spicy they are. Another reason I love wings is they are one of the simplest, most flavorful ways to prepare chicken! 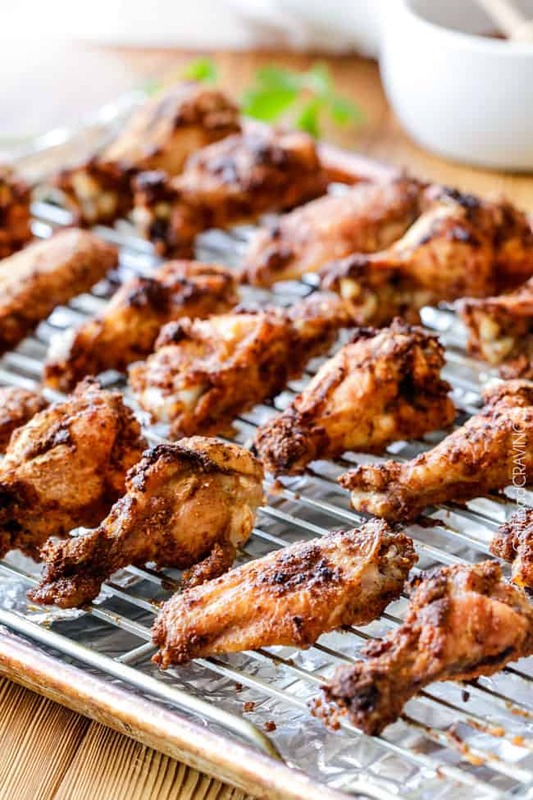 All you do is shake your wings in a bag of spices, line them on a baking rack and bake until nice and crispy – no babysitting or standing in front of the stove. 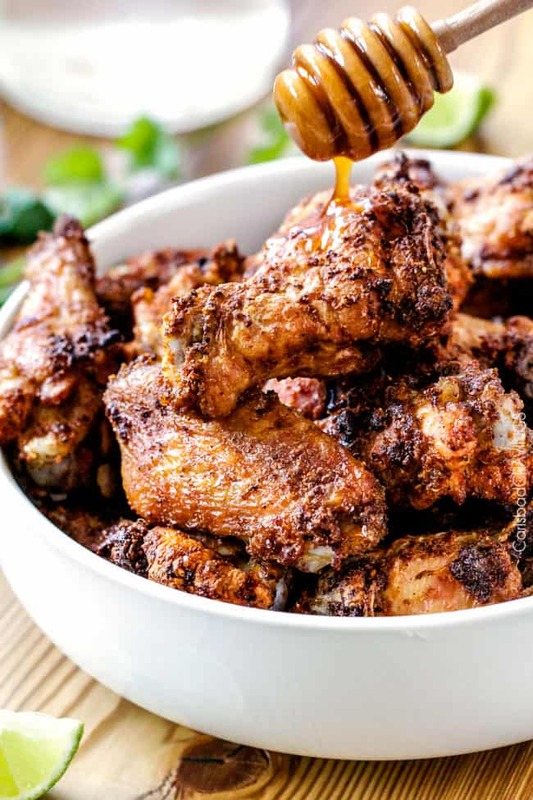 This rub is an alluring combination of chipotle powder, chili powder, cumin, smoked paprika, garlic, onion and baking powder, (you can read more about baking powder as the key to crispy wings HERE), resulting in wings so dripping with flavor you will have to exercise all your will power not to eat them fresh out of the oven with just the rub. But please. 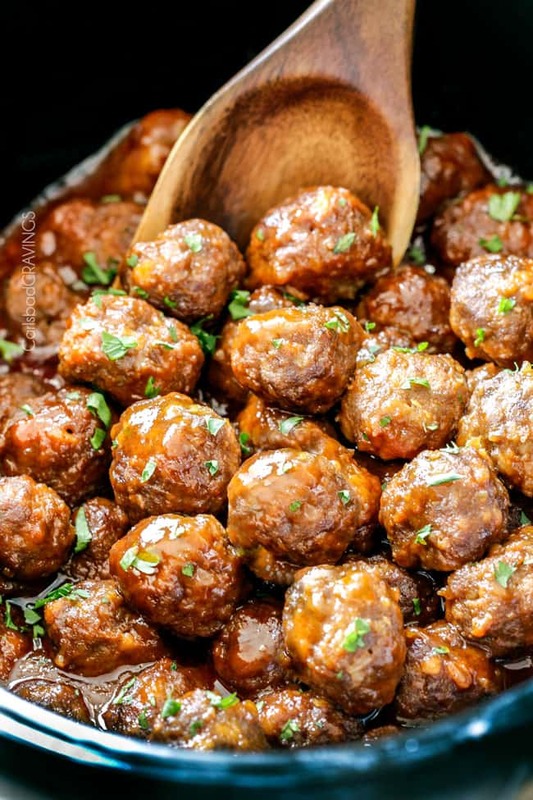 Exercise your will power because the sauce – oh the Honey Lime Hot Sauce! The Honey Lime Hot Sauce is a melody of honey, splashes of lime, a little butter, and hot WINGS sauce (not original/traditional hot sauce). Perfectly sweet, as spicy as you want, tangy and bright. 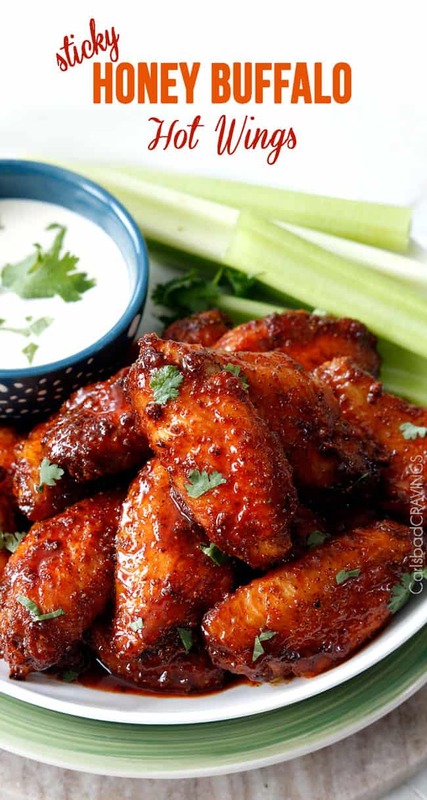 Perfectly balances the smokey, earthy Mexican spiced wings. Perfectly sticky. Perfectly ready for you to make. In a small bowl, mix together Rub Ingredients. Add half of the Rub to a large freezer bag. Add half of the wings and shake until coated evenly. Line wings on prepared baking rack so they are not touching (they will be snug). Add remaining Rub ingredients and wings to freezer bag and repeat. Bake on upper middle rack for 45-50 minutes at 400 F degrees. Move oven rack approximately 6-8" from broiler and turn oven to Broil. Broil to desired crispiness, watching closely so they don't burn! Optional - for extra crispiness, flip chicken wings over and broil the other side until crispy. While wings are cooling, melt butter over medium heat in a small saucepan. Whisk in remaining Honey Lime Hot Sauce ingredients** and bring to a boil, stirring occasionally. Reduce to a simmer until slightly thickened, approximately 1 minute. Taste and add additional hot sauce for spicier sauces/more honey for sweeter. 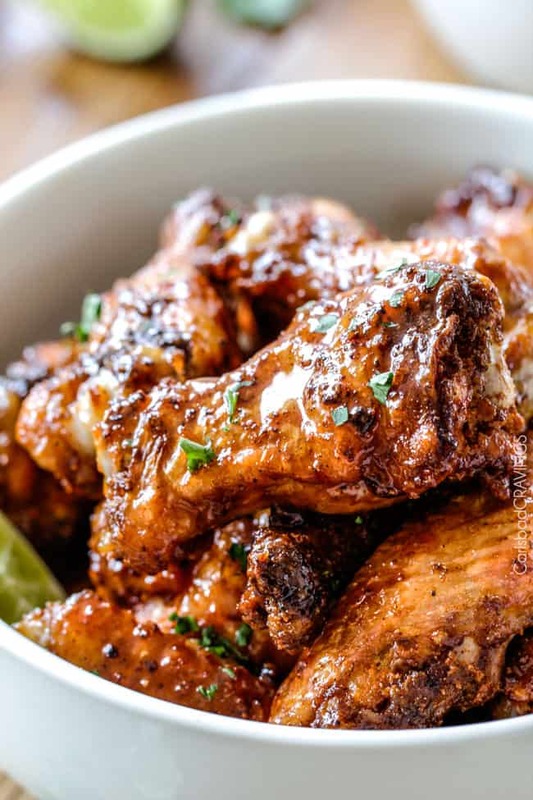 **You might want to taste cooked chicken wings before deciding how much hot sauce to add to the Honey Lime Hot Sauce (I add a total of 1 1/2 teaspoons hot wings sauce for spicy wings – use less for milder/kid friendly). Hi Jen! I use chipotle a lot – I add it to mac n’ cheese, corn muffins, anywhere I want a little kick. I learned the baking powder trick from Nagi, who is amazingly creative! These will be on the menu soon! Great minds think alike! 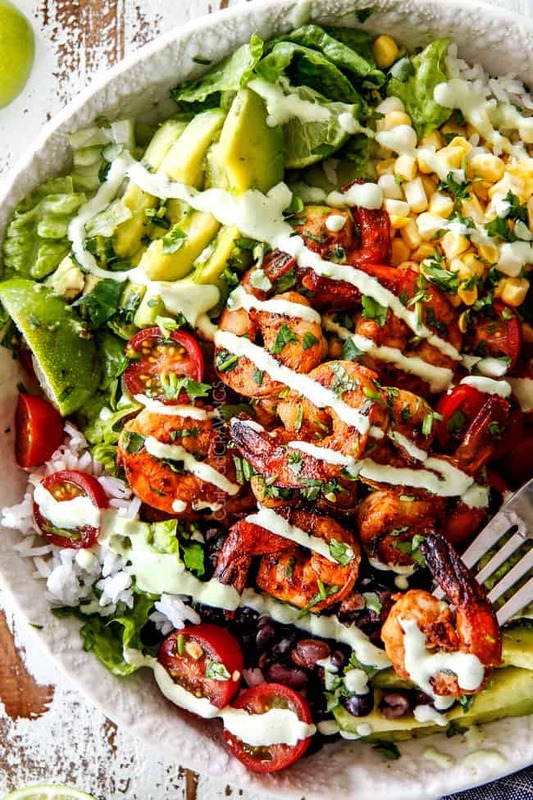 I LOVE chipotle in EVERYTHING too! I think you will love these then, can’t wait for you to make them! And yes, Nagi is AMAZING! she is one of my dear friends and I admire her work so much! Hi Brenda, I am so sorry about your previous fire alarm incident – ah! I really wish I could offer you more help/advice but I am not sure why yours smoked like that – did you have a baking rack to catch all of the extra grease? were your wings patted dry? was there anything else in your oven to make it smoke? You could try baking at 250F in the lower quarter of the oven for 30 minutes to help render the fat then move the tray to the higher rack and bake at 425 F degrees for another 40-50 minutes, rotating the wings half way through. Hope this works for you!! You need a range hood that ducts to the outside. I know. Before I ducted mine to the outside, there were a few recipes that I couldn’t use because of the smoke. Thank you so much Mike! I had no idea! I made these and they were very good. Thanks for the recipe. You may want to clarify that when raising the rack to within 6″ to 8″ of the broiler, the temperature should also be turned up to “broil”. And watch them closely to keep from burning! Yes, I do want to clarify, thanks Mike, will do right now! Glad you enjoyed them! These are the absolutely best wings myself or anyone I have made them for have ever had! A definite home run! I am going to be trying the chipotle lime ones next. I’ve tried some of your other recipes and wow! Thanks for sharing, Jen! Please continue to do so. Is your name/nickname Kiwi? My little Frenchie’s name is Kiwi and we just love her 🙂 Anyway, thank you so much for leaving a comment! I am thrilled to hear these are the best wings you are anyone else has had – the ultimate compliment! I love hearing you are enjoying my recipes – yay – thank you! Have a great weekend! Thanks Jared, I am so happy you are having fun experimenting with my recipes! Yes, I would start with 1 1/2 teaspoons and add more to taste. Also make sure you are using hot WINGS sauce and not original hot sauce as the hot wings sauce is much spicier. I like to start with just 1 1/2 teaspoons and let everyone add more to taste so it is can be loved by all instead of immediately being too spicy 🙂 Hope this helps, enjoy! I love your recipe called Chipotle honey lime wings, and i would love to make it for my entire family for a dinner party, but I would like to make them try some other recipes too (buffalo sauce, bbq….). So my question is: do you think it’s possible to precook my chicken drumsticks (I don’t wanna use wings) so then my family members can pick their sauce and then I can cook it in my oven in only 10 minutes ? if yes how can I make it ? Hi Mark, what a fun idea for your guests to be able to pick their sauces! This should be super easy and doable because the wings/drumsticks are cooked before you coat them in sauce. So you can have your drumsticks completely cooked and ready for when your guests arrive and have a “sauce bar.” If you are eating later and you you are worried about the drumsticks not being warm, then you can precook them like you suggested but not all the way through then add them back to the oven for another 10 minutes like you suggested until done. Hope this helps! Have fun! Omg these were absolutely fantastic!! The dry rub on the chicken is sooo flavorful and delicious! The sauce was the perfect compliment to the seasoned wings. Will definitely make again. Thank you!! Thanks so much Salesha! I’m thrilled you loved them! !!! I think I just found my new favorite wing recipe!!! 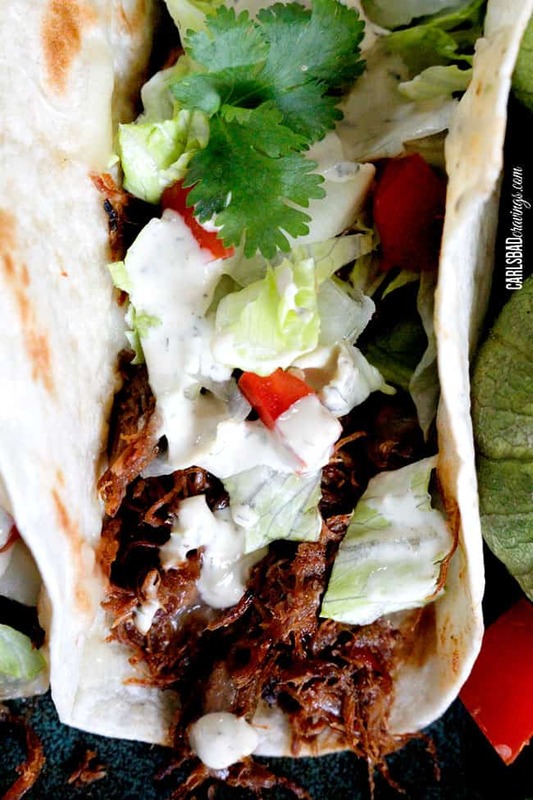 The rub blend along with the sweet & spicey sauce was a huge hit for everyone… a definite recommend! Hi Brent, sorry for the delay as I am way behind after recovering from pneumonia, but I so appreciate your comment! I am thrilled you love this recipe so much and that it was such a hit! Thank you so much! Jen, do you thaw the wings in the refrigerator or bake them from frozen? Thanks. Hi Luanna! I thaw them first in the refrigerator. Enjoy! OK, thanks. I’m looking forward to making them!